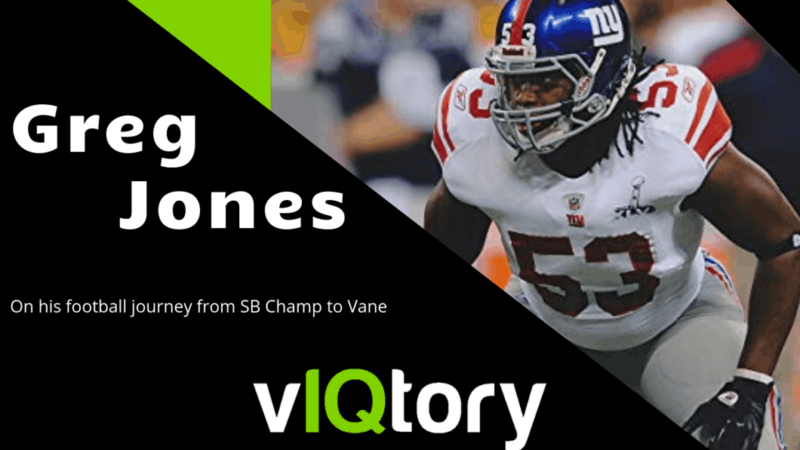 On this episode of the vIQtory podcast we are joined by former All American linebacker and Super Bowl Champ, Greg Jones. Greg was a 2x All American Linebacker at Michigan State after earning a starting role as a freshman. From there, Greg was drafted by the Giants and won a Super Bowl as a rookies starter (he then proposed to his girl friend on the field after the win). Jones went on to have a 6 year career between the NFL and CFL. After retirement he has launched multiple entrepreneurial ventures but notably is working with Vane and their protective gear. Their new mouthguard will help detect concussions and improve safety. Keep up with Greg by following him on Instagram and follow Vane at Vanemouthguards.com!